A single image has the power to convey an entire storyline in an instant. Words and video, as powerful as they are in their own right, require time and patience to be understood. With an image, an onlooker needs only a second to absorb its emotional essence. The image of Ieshia Evans detained by law enforcement during a civil rights protest, or the picture of Alan Kurdi, the Syrian boy who drowned as his family tried to reach Europe, single-handedly gave voice to causes affecting thousands that were relatively overlooked until then. The common thread between these powerful images is the story they tell about a cause. Images offer a simple, cost-effective way to grab people’s attention and show them why they should care. This is why nonprofits have so much to gain from visual storytelling. Visuals are especially effective on social media. Instagram, for instance, is a platform driven entirely by visuals. On Twitter, tweets with images receive 150 percent more retweets than those without. Facebook posts with images receive 162 percent more interactions than the average post. But not all images will create an emotional connection with your audience. There are several basic principles of visual storytelling that you should use to guide which images you choose and how you use them. To appreciate the impact of your work, people need a look at the bigger picture. Whether you are protecting a lake from pollution, rescuing abandoned animals, or building homes, people will attach greater emotional value to images that show why your actions matter. 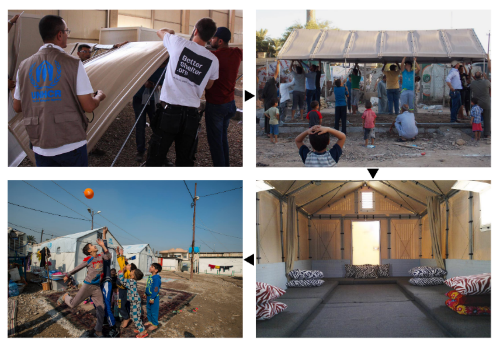 In 2016, the United Nations High Commissioner for Refugees (UNHCR) collaborated with the IKEA Foundation and Better Shelter to construct shelters for Iraqi refugees. The images shared by Better Shelter don’t just tell a story of how they built the shelters. They tell a story of hope and how, because of these homes, life has a chance of returning to normal for the refugees. This series of images immerses the viewer in the story. Together they tell an overarching narrative of hope that viewers can experience for themselves. And that is what great stories do—connect with the audience by immersing them in emotional experiences. There are more than 1 million registered nonprofits in the U.S. and many of them advocate for similar causes. Stand out from the crowd by offering a new perspective or presentation of the problem. The fight against deep sea oil drilling is a cause backed by many organizations all over the world. But some campaigns stand out because they told the story in a unique way. Greenpeace ruffled more than a few feathers with their “Oil On Canvas” campaign, which featured oil prints on canvas made with birds killed by the Rena oil spill. This was not the first or largest oil spill in the world, but Greenpeace’s macabre presentation of the consequences was able to get their audience’s attention. People grow accustomed to the familiar and tend to overlook it. But a unique angle to the story can suddenly interest or captivate them. We feel connected to the story when we can empathize on an individual level with its characters. Portrait images are ideal for framing these connections between your nonprofit and its supporters. Given that our minds are wired to care more about individuals than for larger groups, your supporters are more likely to appreciate your impact when they see how it affects specific people. 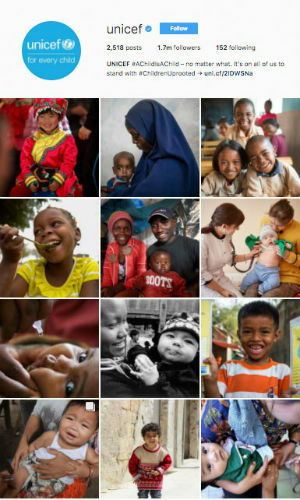 UNICEF provides humanitarian and developmental assistance to children across the world. The organization has thousands of stories of how they’ve changed lives, and each of them are told through its main characters. The story of Syrian refugees is not told with tales of devastation and struggle. It is told through the story of girls like six-year-old Huda who wishes for her own bed and chair, and boys like 13-year-old Khaled who wants to learn how to swim. Do you remember watching the movie about the man who lived happily with his wife and kids and the biggest struggle he faced was deciding what to have for dinner? Probably not. You may have been bored just reading that sentence. Conflict is the force that drives a story. Stories of people who have defied the odds gets viewers rooting for the character, and in turn, rooting for your cause. Through images, you can demonstrate how a certain social problem affects various aspects of an individual’s life. Operation Smile, for example, shows how the inability to smile—the conflict—affects the children they serve, and how these children have overcome the odds to smile again. They tell Joseph’s story, for instance, through a sequence of images that start with a boy with a cleft lip in an impoverished neighborhood in San Remigio, Philippines, and ends with him with a big smile sitting inside a classroom. Viewers are presented with the struggle, taken through the journey and finally presented with the big win. Movie blooper reels are so fun to watch because they give the audience a look behind the scenes. You feel connected to a character while watching a movie, but the bloopers allow you to connect with the actor behind a character. Use visuals to tell the story of what goes on behind the scenes at your nonprofit. The staff who plant trees or the volunteers who build homes show the audience the humans behind your brand, making it seem more real and trustworthy. Habitat for Humanity regularly features visuals of their volunteers building houses. The images themselves aren’t always extraordinary, but they create trust and connection through authenticity. 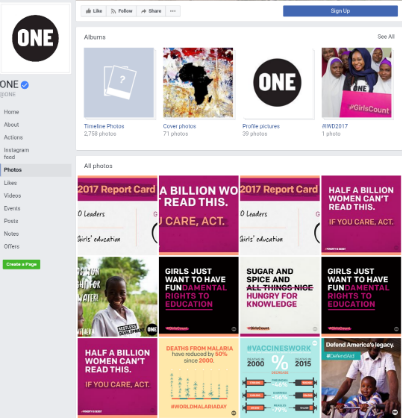 Consistent visuals help nurture familiarity and trust with your nonprofit while inconsistency can cause disconnect between viewers and your visuals. When you apply specific branding elements to your images, you make it easier for people to identify your messaging and recognize it. Make sure that the style of your images, specific brand colors, and font are consistent across your images. 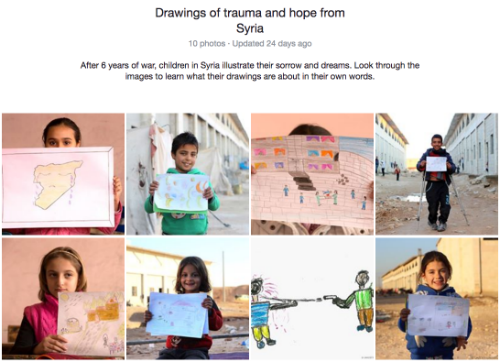 The UNICEF Instagram page is a good example of consistent storytelling through visuals. The organization tells the vast majority of its stories through portrait images and individuals. 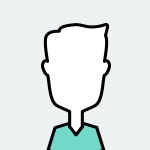 For a supporter, the style is immediately recognizable and associable with the overall cause behind the organization. If you have trouble sourcing images to post, take a note from the Facebook feed of One Campaign and create your own digital art. Just make sure to keep your messaging and branding elements consistent. Visual storytelling is powerful because it evokes emotions that help people connect with your nonprofit and motivate them to act. Use these six tips to ensure your images make that emotional impact and resonate with prospective supporters. Augustus Franklin is founder and CEO of CallHub, a California-based Voice and SMS service company bridging the communication gap for political campaigns, advocacy groups, and nonprofits. When he is not working, he is either making toys with his kids or training for a marathon. Find him on Twitter or LinkedIn.